Frankly, we primarily stopped writing about nuclear since everyone in the industry should know by now it is an industry entering its retirement stage. ...so says Zachary Shahan in yet another antinuclear article. Interestingly enough, I wrote an article earlier this year critiquing yet another of their antinuclear energy articles. However, because of the interest (and backlash) the Before the Flood article raised, I decided it was worth communicating this point one more time [emphasis mine]. If CleanTechnica really believed that nuclear energy is “entering its retirement stage” they wouldn’t still be writing antinuclear articles. This site is not the place to discuss future nuclear designs that might make nuclear affordable, the unproven GenIV type stuff that might or might not work. If there’s a clear demonstration of affordable nuclear sometime in the future [China will begin replacing the furnaces in many of its coal plants with Gen IV, gas cooled, pebble bead reactors as soon as 2018 and Russia just put a breeder reactor into commercial operation last month], then we can open up the discussion about the role nuclear could play in replacing fossil fuels. In the meantime, there are several sites where they love to discuss nuclear ideas. Feel free to take your speculations to one or more of those sites. We’re going to stick with stuff that is affordable and practical. Shahan began his article with praise of another antinuclear article. 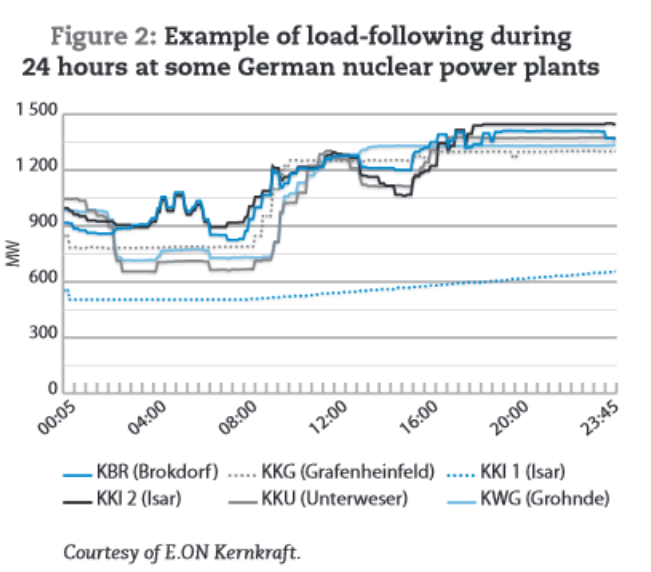 "...about why nuclear power is now a dead end." Ten reactors were brought on line last year and eleven more are expected this year. Russia just put its new BN-800 nuclear breeder reactor into commercial operation (October 31, 2016), making nuclear energy just as renewable as most ostensibly renewable sources. China will be begin replacing the furnaces in coal plants with gas cooled pebble bed reactors in the next two or three years. It was based on solid research and a deep plus broad understanding of the fast-changing energy industry. The short Before the Flood antinuclear article listed no sources of any kind, so, raise your hand if you know how Zach can claim this was based on "solid research." The picture that goes with the antinuclear article is of cooling towers ...apparently covered in coal soot (not a nuclear power station). Maybe she should have researched that. As the article noted, nuclear power has been growing only in China. 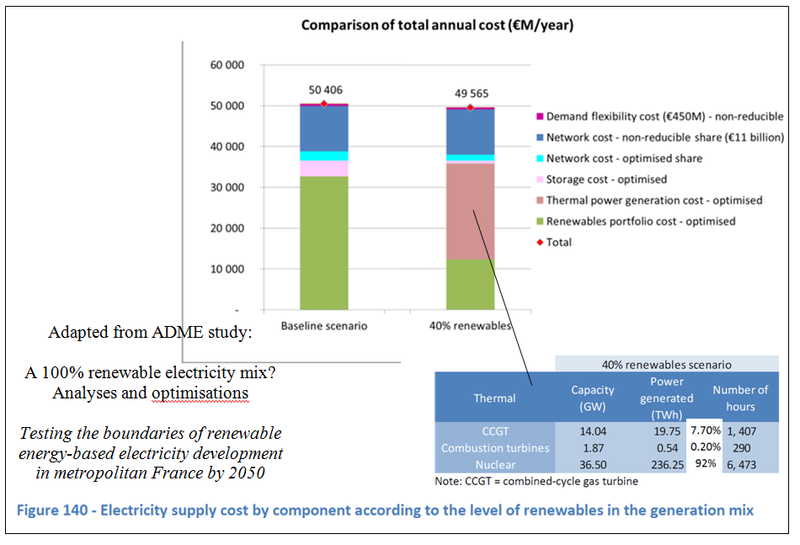 Figure 5 The nuclear reactors that came on line in 2015 will provide more power over their lifetimes than the wind or solar farms and for a lower cost. Even in China, though, the growth targets announced a few years ago keep getting undermined by nuclear’s lack of competitiveness, and China is all but certain to dramatically cut its long-term plans. Speaking of targets, Germany has failed to reduce emissions for the last six years as a result of closing nuclear instead of coal. The slowdown in electricity demand growth at home has left China with surplus power-generating capacity. Installations of new wind and solar farms in China are expected to drop 11 percent in 2017 ... After five years of breakneck growth in the supply, China’s electricity demand is stagnating along with a pause in the nation’s economic expansion. 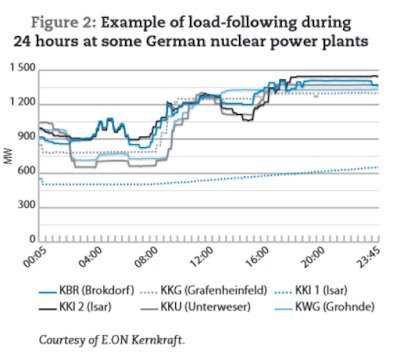 Nuclear power is nonsensical for new electricity capacity for a handful of reasons. The following is my multi-factorial assessment as of 2016 for different forms of electrical generation. The assessment is a simple scale of 1to 5, and is based on my judgment of each of these technologies which is informed by my background, knowledge, research, and systemic perspective. It is not a quantitative evaluation. ...no calculations, no sources ...pure conjecture. I don’t know any other economy that can bear this burden [$30billion a year]...We have to make sure that we connect the energy switch to economic success, or at least not endanger it. Germany must focus on the cheapest clean-energy sources as well as efficient fossil-fuel-fired plants to stop spiraling power prices." While renewable aid costs are at the “limit” of what the economy can bear, Germany will keep pushing wind and solar power, the most cost-effective renewable sources, Gabriel said. As I've said so many times before, Germany is demonstrating the real world cost of trying to reduce emissions with only renewables; $30 billion a year, according to Germany's economics ministry. $30 billion a year would pay for forty custom built $7.5 billion Generation III AP1000 reactors over ten years ($30B/year x 10years = $300B, $300B/$7.5B = 40 AP1000 nuclear power stations). Replace coal plants with these, add them to existing reactors and they could supply about 97% of Germany's electricity by 2025. Refer also to Figure 5 above and Figures 7 and 8 below. What he really meant to say was that a grid with a lot of low carbon nuclear will have less room for wind and solar ...duh. Here's the problem, it's been proven that when nuclear is replaced with the wind/solar/gas hybrid system, emissions rise. The chart below tries to explain why. Figure 10: Why Emissions Rise When Nuclear is Replaced by the Wind/solar/gas Hybrid System. "...it’s extremely slow to build." 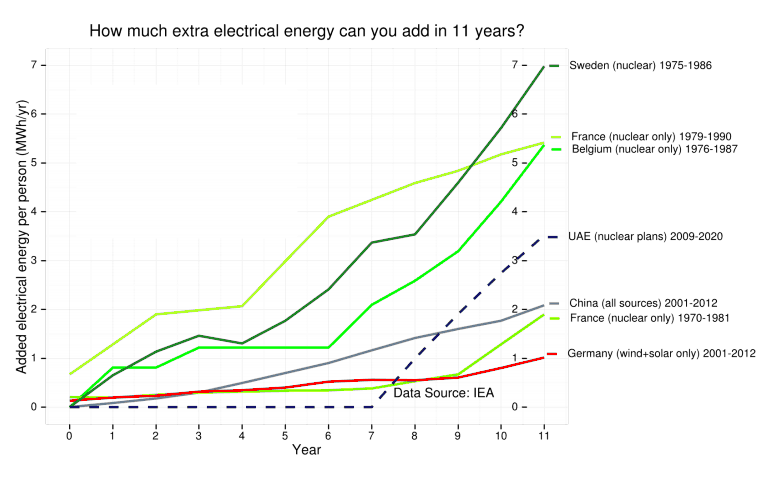 Nuclear has a proven track record of being able to grow much faster than wind and solar. France built fifty something reactors in about 15 years. The rate NV Energy pays solar customers for their surplus electricity will be cut by 75 percent--there went the business model for rooftop solar. Enphase just entered into a $25 million loan agreement with a lender specializing in "rescue financing" that furnishes capital "to avoid a restructuring or insolvency." Abengoa, which has gotten $2.7 billion in federal subsidies, filed for U.S. bankruptcy protection after already filing for bankruptcy in Spain. Sun Edison, a global renewable energy company files for bankruptcy, $11 billion in debt. Ivanpah’s Problems Could Signal the End of Concentrated Solar in the U.S. Most of these shuttered projects have been doomed by one factor: cost. For a listing of over 100 solar companies that have gone bankrupt, click here and here. He may be referring to the cost of cleaning up the superfund site caused by the tsunami damaging the Fukushima reactors, which pales in comparison to the cost of the fossil fuel that has been burned since Japan closed its reactors thanks to decades of antinuclear scaremongering. From 2011 through 2013, Japan’s trade balance worsened by a cumulative 18.1 trillion yen ($169 billion), estimates Taro Saito, director of economic research at the NLI Research Institute in Tokyo. Of that amount, 10 trillion yen, or 55 percent, came from energy imports. 55% of $169 billion = $93 billion. Almost a half-trillion dollars already lost to fossil fuel costs as a result of antinuclear fear mongering that has closed Japan's nuclear. After removal of the Elwha dam, "watershed is booming with new life"
Does the World Bank's "Success Story" on Dams Still Hold Water? ...and as I've said countless times before, don't get me started about the damage being done by biomass and biofuels. All energy sources have a negative impact on the environment. It's all a matter of degree, a balancing act. Read about China's environmental impact from making solar panels in Nature, the NYT, and Greenpeace, and the Ivanpah solar thermal plant's continuing propensity to immolate flying creatures. Nuclear, second only to hydro, has been the world's main low carbon source of energy for the last half century. Does Zach not consider climate change to be an environmental risk? Well of course he does. Is he really willing to risk my children's futures on the untested hypothesis that wind and solar without help from nuclear can not only displace the $55 trillion currently invested in fossil fuels, but also our main source of low carbon energy, nuclear, and all in the needed time frame? Give that some thought ...Zach. Or, is he ignoring the low carbon aspect and focusing instead on the fact that antinuclear folk have caused the U.S. government to squander the $25 billion that was taken from ratepayers and put into a fund for a central waste repository? Or, is he focusing on the only nuclear energy incident in over a half-century of low carbon energy production caused by a nearly extinct primitive, containment-dome-free Soviet era weapons production design, that removed land from human industry and returned it to nature, creating Europe's largest wildlife preserve? Unfortunately, the nuclear lobby is still influential and keeps pushing its agenda despite nuclear power’s lack of competitiveness. 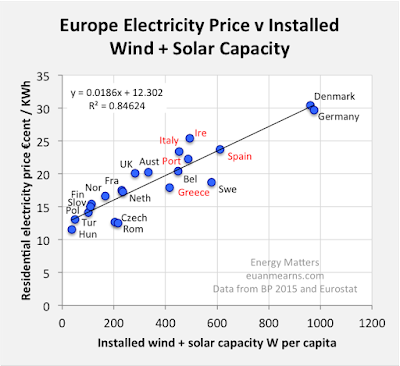 Hold it ...the wind and solar lobby are not influential? Didn't their subsidy, the PTC, which has been reinstated five times over fifteen years just get reinstated for the next decade? "I will do anything that is basically covered by the law to reduce Berkshire’s tax rate,” Buffett told an audience in Omaha, Nebraska this weekend. 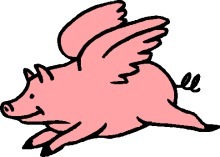 “For example, on wind energy, we get a tax credit if we build a lot of wind farms. That’s the only reason to build them. They don’t make sense without the tax credit." I received word that the Before the Flood team got some backlash from nuclear fans after publishing the article, despite the realistic and insightful nature of the summary. Realistic and insightful nature of the summary he says ...trying to keep a straight face. Because nothing said in her article was new, it certainly didn't fit the definition of insightful. And because nothing she said was correct, the article certainly does not fit the definition of realistic. There seem to be remaining science-fiction technology enthusiasts who are simply enamored by the idea of an energy dense, centralized nuclear world, but that idea is disconnected from reality. Based on the evidence I presented above, it would be more accurate to say that there seem to be remaining science-fiction technology enthusiasts who are simply enamored by the idea of an energy dense diffuse, centralized nuclear decentralized wind and solar world, but that idea is disconnected from reality. The reality is that the world will continue to be powered with a mix of low carbon technologies including nuclear, wind, and solar. At least, it is disconnected from any market-competitive reality. His above statement, which links back to yet another CleanTechnica article, also contradicts the reality shown in the cost figures above. He said that already, see Figure 9. He also said that already. He links to a 2012 article by the rabidly antinuclear Joe Romm, that is also refuted by all of the above. ...that the private insurance sector won’t touch without massive, massive subsidies and risk protection from the government or ratepayers. ...riiight, massive, massive subsidies. Above he's parroting the old antinuclear argument about nuclear insurance premiums. Nuclear is well insured all the way up to about $14 billion dollars here in the States. Natural and other disasters can't always be covered by insurance alone. It's actually more cost effective to insure to a reasonable level and make contingency plans for anything over that. No disaster insurance has unlimited coverage. States can apply for government disaster relief, as is the case with dam failures, Katrina levy failures --$125 billion, the twin towers--$250 billion minimum, and other disasters. That's what governments are for. Costs from hydropower mishaps, such as dam failure and resultant flooding, for example, are borne directly by the public. The 1977 failure of the Teton Dam in Idaho caused $500 million in property damage, but the only compensation provided to those affected was about $200 million in low-cost government loans. The Price-Anderson Act requires the nuclear energy industry to maintain liability insurance to compensate the public in the event of a nuclear accident. This coverage is provided through a combination of private insurance purchased by the companies that operate nuclear power plants and a framework that holds every nuclear plant in the United States financially responsible for a share of claims exceeding the amount covered by private insurance. Currently, the industry has $13.6 billion in liability insurance coverage. Price-Anderson establishes the framework for nuclear plant liability insurance and sets an upper limit on industry wide liability. The cost of this insurance is borne by the industry. However, if the entire insurance pool is exhausted, state and local governments can petition Congress for additional disaster relief. Insurance pools set up under the act disbursed approximately $71 million in claims and litigation costs related to the 1979 accident at Three Mile Island. The act has proven so successful that Congress has used it as a model for legislation to protect the public against potential losses or harm from other hazards. More on the subject can be found here and here. The bottom line: new nuclear makes no sense today. Actually, in light of climate change, nuclear makes more sense today than ever before. Below that statement he provided Lazard's chart of levelized energy costs with a few of his own lines drawn on it pointing to a handful of the lowest cost instances he could find trying to insinuate that these few low cost examples are the real costs of solar and wind, regardless of the fact that you may live where there is far less sun or wind than in these places. So, below I provide the same graph highlighting the reality for anyone interested in reality.